PANACEA Black 560. You asked for it, and we made it. The 560 is the same blend as our Classic black label Brazilian maduro, but BIGGER. We also gave it a different style Black label band better suited for a big-ole cigar. 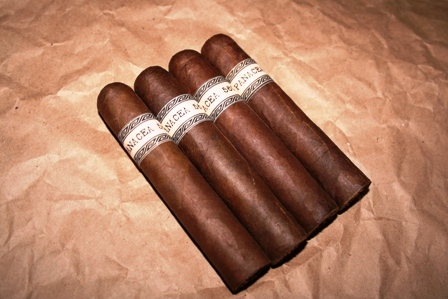 A Brazilian maduro wrapper and Dominican binder surround a blend of: Seco Cubano, Ligero Piloto Cubano, Ligero Olor Dominicano, and Ligero Nicaragua. 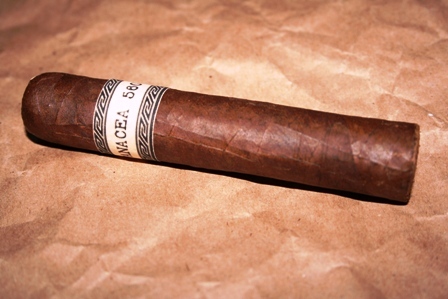 Like our PANACEA Classic Maduro - this cigar is smooth and balanced. If you like a medium strength cigar, insist it be balanced, and know you are smoking something special...this cigar will become your favorite. Try a 4 pack and share with a friend. I just tried my first Black 560 over the weekend as it warmed up and I could enjoy a larger cigar outdoors. The pre-light aroma let me know I was in for a real treat - the barnyard fragrance one associates with the best Cubans. The smoke was full bodied, but not overpoweringly so and the complexity of flavors lasted down to the nub. Sorry, I'm not very good at identifying those flavors, but I do know what I like and I really, really like the 560. Wow another great cigar from flatbed these cigars are great sticks, I found myself reaching for them more than any other in my box.